Catch The Fire Church in Moncton, led by Daniel & Susan Britton, is a church who believes that as people begin to discover their Godly identity, and are trained, and released under a covering and spirit-filled network, they have the potential to rise up as leaders in their sphere of influence. Catch the Fire Moncton has a deep passion to see God move in their city and for Eastern Canada to be on fire for God. 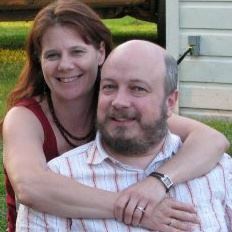 Daniel & Susan being born and raised in Moncton have a profound longing for their city to be completely transformed by God. They recognize that having healthy families is critical to a healthy society, and as lead pastors in the community they endeavour to provide a ‘Fortress for Family’.